Mercedes-Benz legendary gullwing coupé - The "Ockhuisen" Mercedes-Benz Collection. 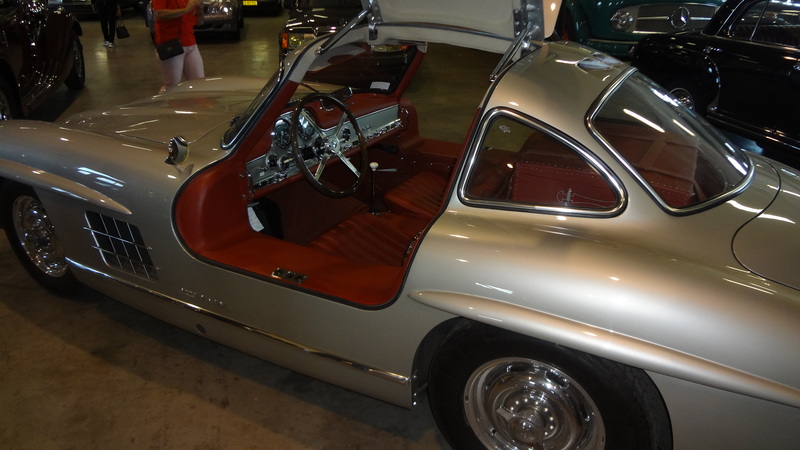 The legendary gullwing coupé was the first true sports-car to be developed by Daimler-Benz after the war. This development was initiated by Max Hoffman, a US-American citizen of Austrian extraction, who had been the official importer of Mercedes-Benz cars since September 1952. 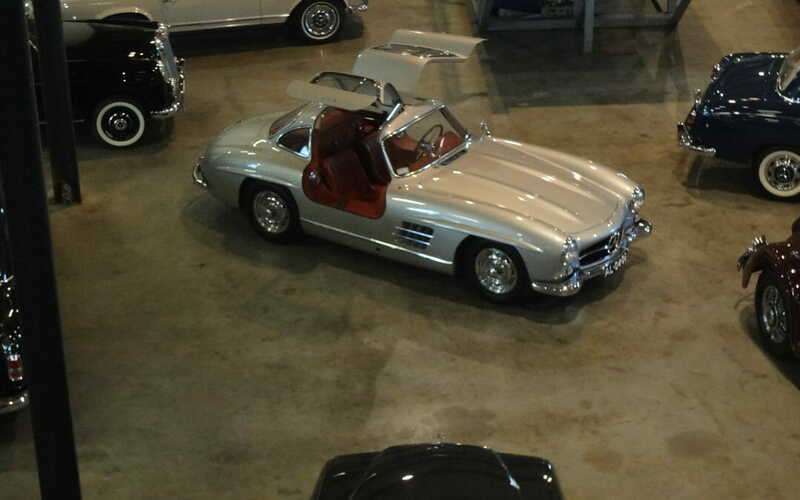 For the board of directors of Daimler-Benz, Hoffman’s plan to sell sportscars with the Mercedes star on the bonnet, was a welcome opportunity to open the US-market for Daimler-Benz and so they were easily persuaded: In September 1953 the development of two sports-car models was launched. 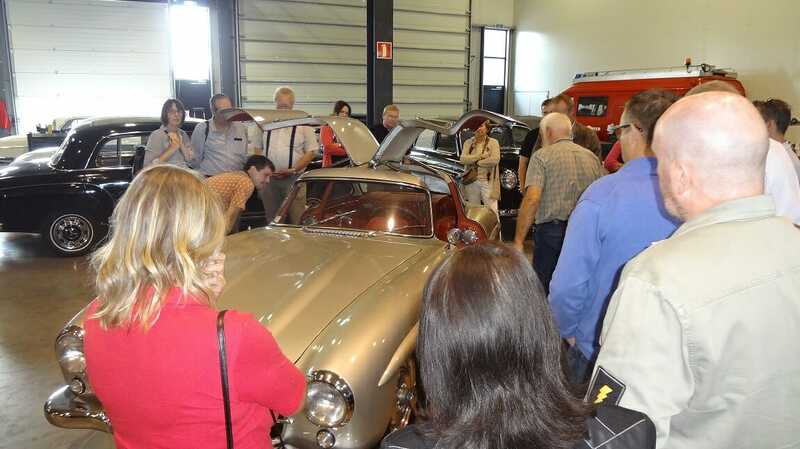 The serial version of the 300 SL, which was presented as the result of this development in February 1954 at the “International Motor Sports Show” in New York, was based on the racing-car of the 1952 season. 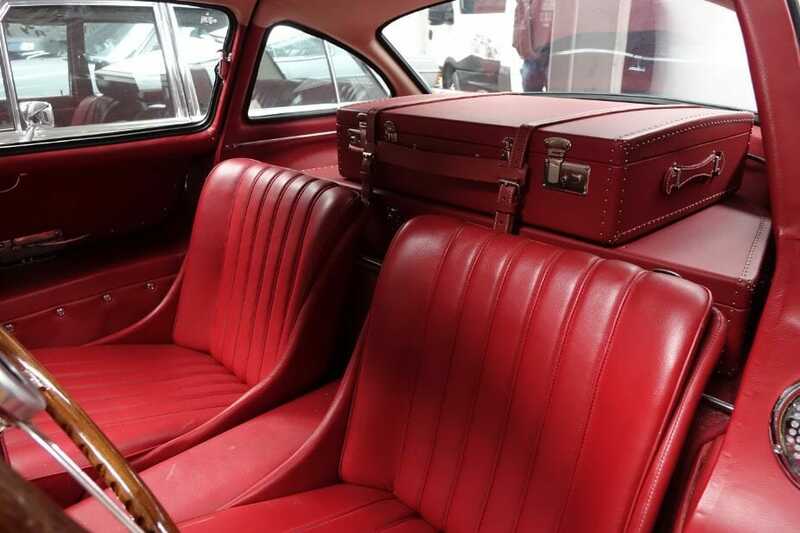 Its salient feature was taken from this racing-car, the unusual doors, which earned the car the nickname “gullwing” in English-speaking countries. This unusual design solution was not intended as a publicity stunt, but, as had been the case with the racing car, from a construction point of view, this was an absolute necessity. The tubular space frame, derived from the SL racing-car, which weighed a mere 50 kg, had the drawback that because of its overall height conventional doors were simply not feasible. 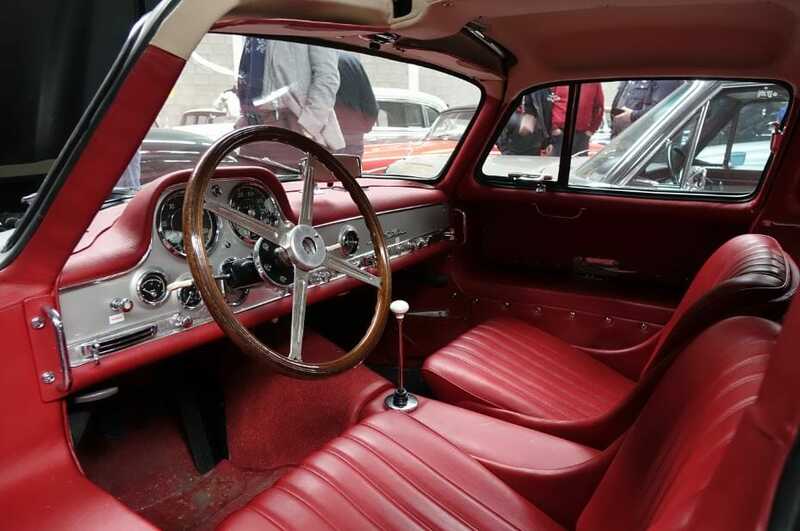 The streamlined body concealed several other novelties: for the first time fuel injection was used in a serial car by Mercedes-Benz; this resulted in an increase of horse power of 40 hp as compared to the carburettor racing car model. The motor was inclined towards the side, in order to ensure a flat and streamlined front design. 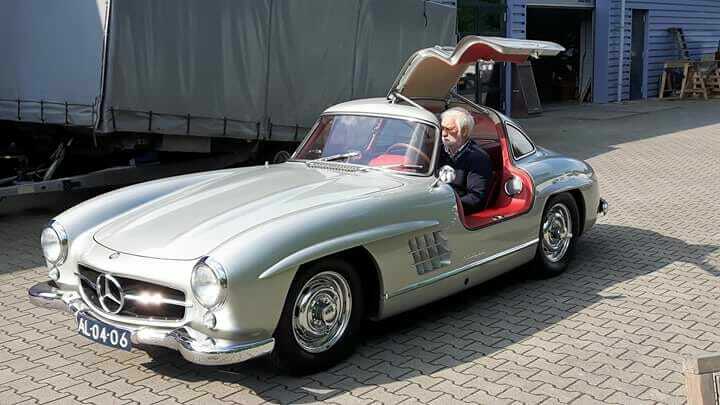 The lightweight construction – the complete car with spare tire, tools and fuel weighed only 1295 kg – led to the sensational driving performance of the 300 SL: Depending on rear axle transmission a maximum speed of 235 kph to 260 kph could be achieved. From August 1954 until May 1957 1,400 units were built in Sindelfingen, 29 of them with a light-alloy body and one test vehicle with a plastic body. This individual car with a glassfibre reinforced body can easily be recognized by two features: there are additional indicators on the front mud guards, which had also been carried over from the 220 a, and there were bigger gaps between its door panels, so that there is no flush surface when the doors are closed.